The board of the Biennale has appointed Kees Christiaanse as curator of the 4th International Architecture Biennale Rotterdam, in 2009. Prof. Ir. Kees Christiaanse (1953) studied Architecture at the Delft University of Technology. Between 1980 and 1989, Christiaanse worked for the Office for Metropolitan Architecture in Rotterdam, becoming a partner in 1983. In 1989, he started his own firm in Rotterdam, KCAP. In 1990 he founded ASTOC Architects & Planners in Cologne. 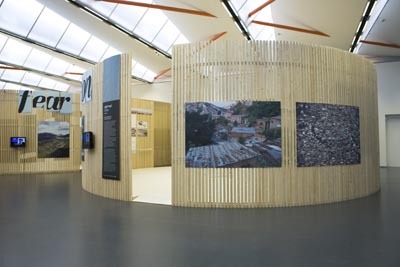 KCAP is an internationally operated Dutch design firm specialized in architecture and urbanism. KCAP’s oeuvre is wide in scope and ranges from complex urban transformations and landscape design to architecture and interiors. More than 140 projects have been designed since its founding, of which more than 60 are realized in the Netherlands and Germany. Furthermore, KCAP participates in European and Asian based projects. From 1996 until 2003 Christiaanse was professor of Architecture and Urban Design at the Berlin University of Technology. He is now professor at the Swiss Federal Institute of Technology in Zurich. He regularly acts as a jury member for international competitions, and is the author of several publications about architecture and urban design.